Last year you probably saw us running one of the Pride booths, giving away WPH swag and free 2-night stays at our gorgeous Art Deco hotel. This year, #WherePrideHappens is at WPH. 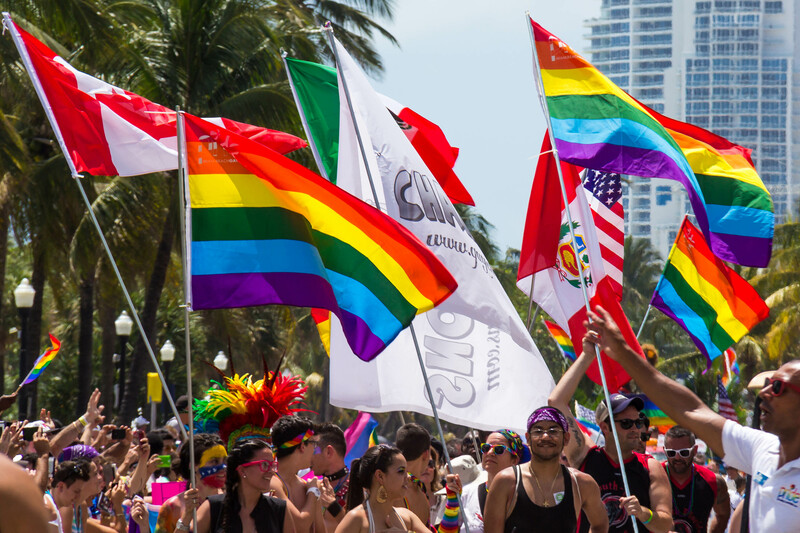 Always a proud supporter of Miami Beach Pride, we’re getting more involved this year. Yes, we’ll be at the booth spinning away and giving away everything you need for a day in the sun - like beach balls, vintage hats, and koozies, but we’re also going to out-do ourselves. This year we’re joining the parade. It’s true. We’ll be rolling up on the Tuk Tuk machine. Look for us in the parade on our signature ride. We’ll be the ones dancing in our seats, maybe even maybe with a swizzle in hand. Who knows? After all it’s Miami Beach Pride and we like to play. But the play doesn’t end with the Pride parade. Follow us back to WPH. We’ll be spending the rest of the afternoon at Swizzle, our craft cocktail bar, sipping the drink our amazing bartender whipped up exclusively for Pride weekend. That drink would be the Pretty Mama Swizzle. It’s a delicious mix of Aylesbury Duck Vodka swizzled with blackberry puree, Mount Gay Black Barrel Rum, Angostura Bitters, and fresh lime juice. It’s also gets the job done. After a few of these, you’ll probably want to stay out by the pool, or even stay the night. But as you already know, we’ll be happy to have you. WPH is #WherePrideHappens.